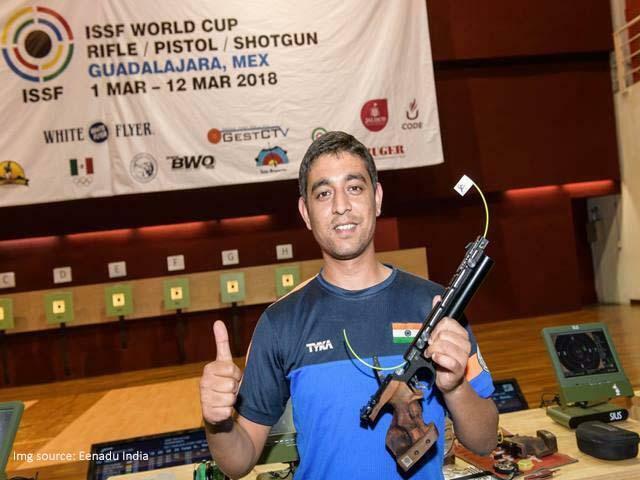 Unheralded Indian shooter Shahzar Rizvi clinched the gold medal with a world record score in a memorable maiden ISSF World Cup appearance, while Jitu Rai and Mehuli Ghosh bagged a bronze each in Guadalajara, Mexico. In this women's event too, three Indian shooters progressed to the final. Anjum Moudgil finished at fourth position with 208.6 points, while Apurvi Chandela was seventh in the standings with 144.1 points. In the women’s 10m air rifle final, Mehuli and Anjum were in medal contention from the beginning, and after a sea-saw battle between the two a 9.9 on the 17th shot meant Anjum ended in fourth position with a score of 208.6. Mehuli won bronze while China’s Hong Xu won silver with 251.0. Romania’s Laura Georgeta Coman, who won gold in the Munich World Cup last year and a silver at the World Cup Finals, came up with a classy display, leading throughout to win the gold medal with 251.5.